This summer I have been working as an architect intern at Belmont Freeman Architects, (www.belmontfreeman.com) a design firm that provides architectural services to institutional, commercial, and residential clients. 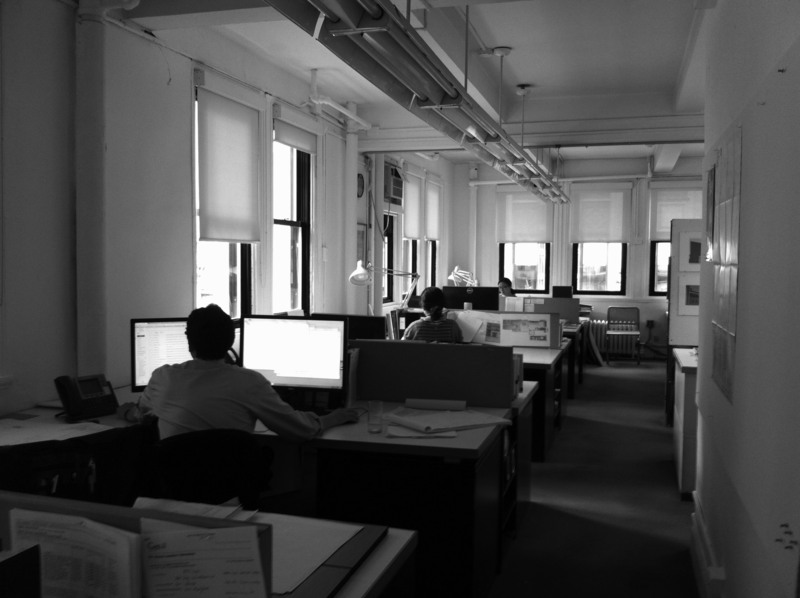 As most architectural firms in New York many of their projects address historic preservation issues since they are renovations or additions to historic buildings. In addition to this, BFA is part of a select group of architects that have contract with the City to work in projects for institutional and public buildings in New York. Belmont Freeman Architects Office in midtown. I started working here just when BFA began with a renovation project for the Engine Company 23, a designated New York City Landmark and one of the City projects that BFA is working on currently. 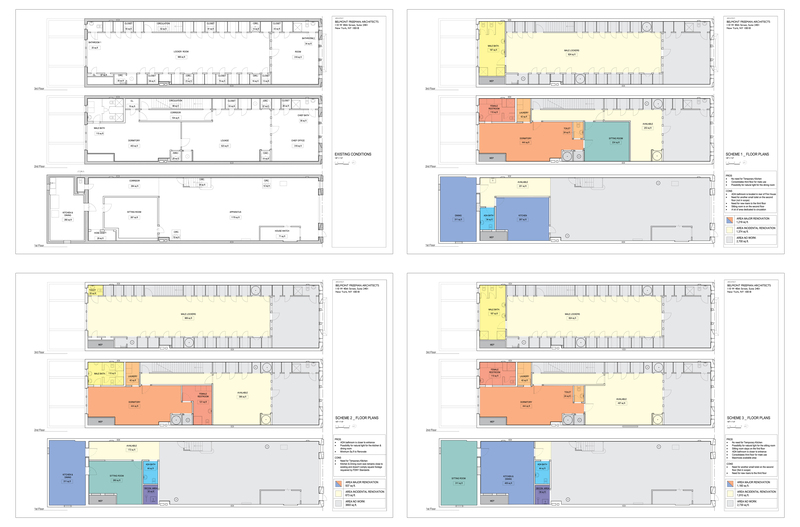 I have been mainly focused in the Pre-schematic & Schematic Design phase, which include the building survey, project administration, design proposals and reports. 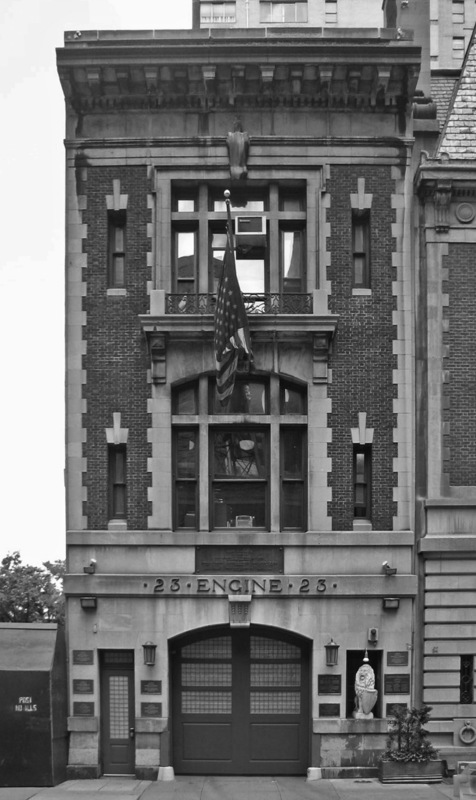 Built in 1905-06, the FDNY Engine Company 23 Firehouse is a three story building designed by Alexander H. Stevens in a Beaux-Arts style that served as a model for subsequent firehouse design. The symmetry of the façade, its use of Indiana Limestone and red brick, set in Flemish bond and its ample fenestration successfully combine to give it its character, which led to its designation in 1989 by the NYC Landmarks Preservation Commission. Even though it is not an interior landmark, the building has many original features such as ceramic tiles, tin stamped ceilings, moldings, and built-in wood cabinetry. Due to the construction of a new building on the adjacent property, the existing windows and air conditioning units in the kitchen will be covered, which makes the renovation of the kitchen, restrooms and air conditioning system an urgent necessity. In addition to this it is required that women’s restrooms and lockers in the Firehouse be upgraded in order to comply with diversity standards. 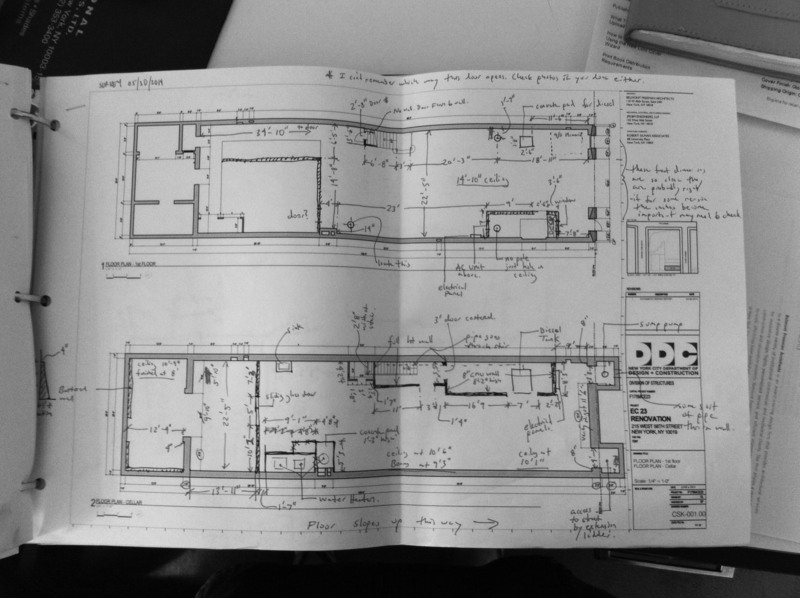 The first task was to do a complete survey of the building’s existing conditions and draw a complete set of plans to work with. Luckily we had access to the original drawings from 1905, so I was able to do a relatively accurate base drawing. Then I spent two days in the firehouse verifying measurements and most important of all surveying the interventions on the building; mostly partition walls that have changed completely the original spaces. The program was completely unfamiliar to me and being there surveying was a unique experience. It was an opportunity to know what the firefighter’s daily activities are, how they live in community, working shifts far from home and how efficient they have to be when the alarm sounds. Seeing them work and move inside the building has been like being in a movie, but it also has been helpful for designing the architectural layout. After surveying I have been working under the supervision of Jumi Song and Belmont Freeman in the schematic design for the project. The Department of Design and Construction (DDC) requires 3 options with cost estimates in order to choose the most appropriate and cost effective option. The design has to address and coordinate many issues. FDNY and design Standards, current code issues and also historic preservation decisions. Even though the building is not an Interior landmark, we are trying to recover some lost features that we believe are essential in the character of the building, such as the ceiling heights that have been obscured with dropped ceilings and the wood cabinetry of the built in lockers. We proposed 3 options, each of which had different programmatic layouts and levels of intervention. Finally after meeting with the Captain of EC23, the FDNY Construction Unit and the DDC, it was decided that option 3 was the best. This option cleans the space on the first floor creating a new kitchen with the original tin stamped ceiling exposed, and sitting room on the back with the option of having a skylight. The second floor would be for the dormitory, laundry and female bathroom exposing the original wooden floors and the third floor would be exclusively for men firefighters, recovering the original lockers and creating a new bathroom. These City projects require a lot of patience and coordination because there are many players involved. I have been leaning a lot of project administration, preparing meeting Agendas, meeting minutes, coordinating the sub consultants and most important of all working with the DDC. It has been great to learn about New York City’s construction, urban and preservation policies and how working with prestigious architects is a good opportunity for both the City and the architectural practice in New York. 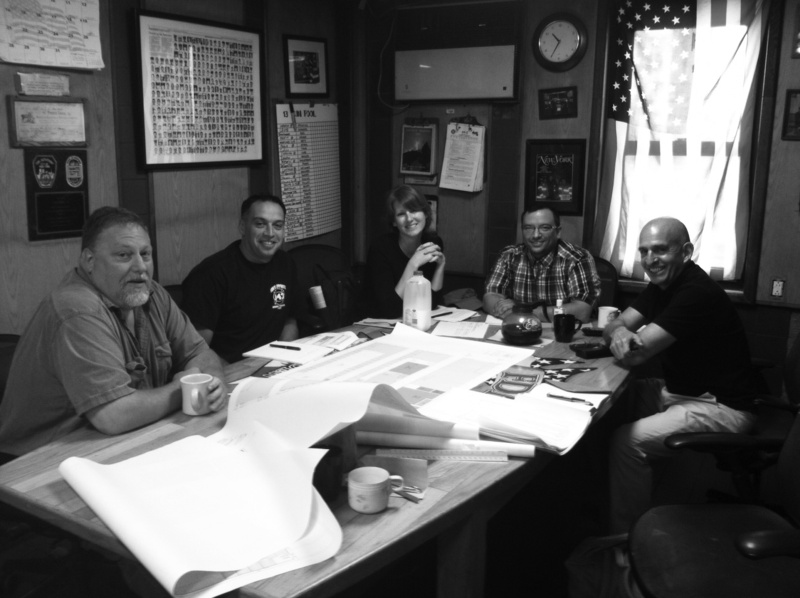 Discussing The 3 options with DDC Project Manager, FDNY Construction Unit and the Captain of EC23. Besides from the EC 23 Project I also helped out with the architecture drafting for the Freelancers Office Relocation project. I worked on plans, interior elevations, details and schedules in order to submit them for the Bid negotiation. Essentially it was a long back and forth of coordinating drawings, printing, and then correcting the drawing mark-ups. 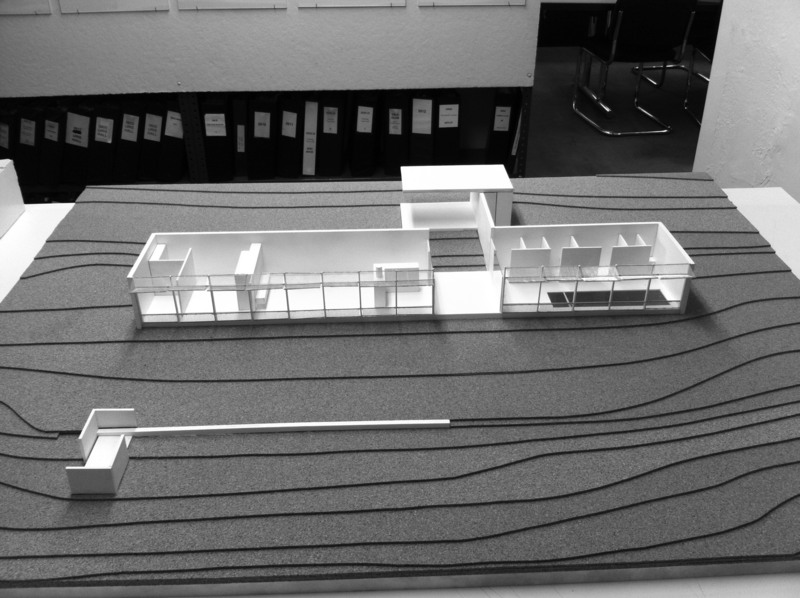 Some other minor tasks I’ve done so far was doing a physical model of a private house, preparing RFP’s (Requests for Proposals) for different projects and organizing the Office Library. This last task was interesting because I got to look over 100 books and pretend to be a librarian for a while. 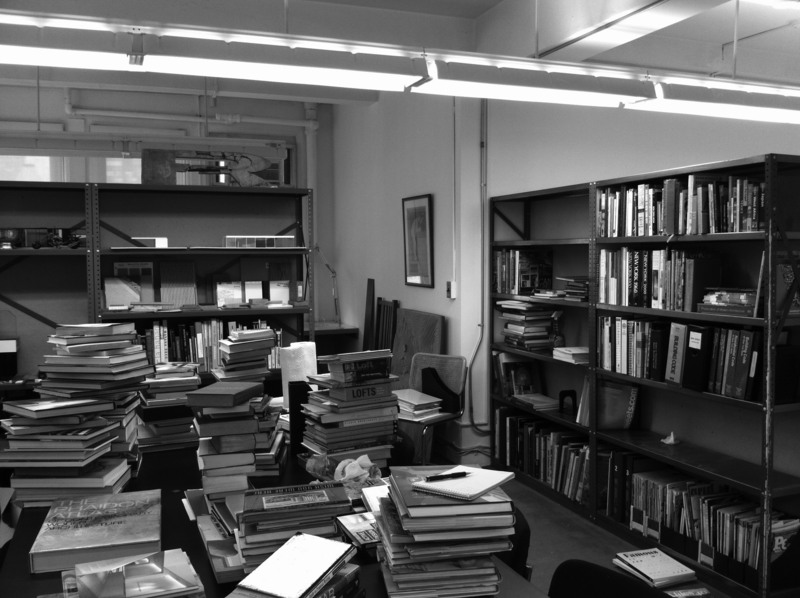 Basically I had to take out all the books, and classify them into piles according to a subject: Architecture history, theory, monographs, construction guides and manuals, building codes, magazines, design, art, among others. After making a complete mess, I had to order them alphabetically by author or by subject in the case of monographs. It was also special because Monty (informal name for Belmont Freeman) has a small collection of Cuban architecture. 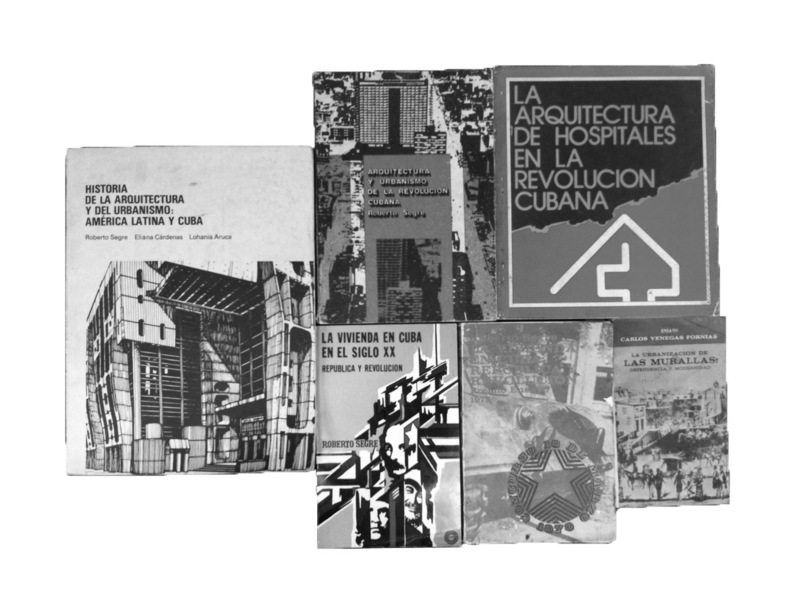 He has been collecting a lot of original material from the Cuban revolution about public buildings and how Cuban modern architecture reflects political ideals. 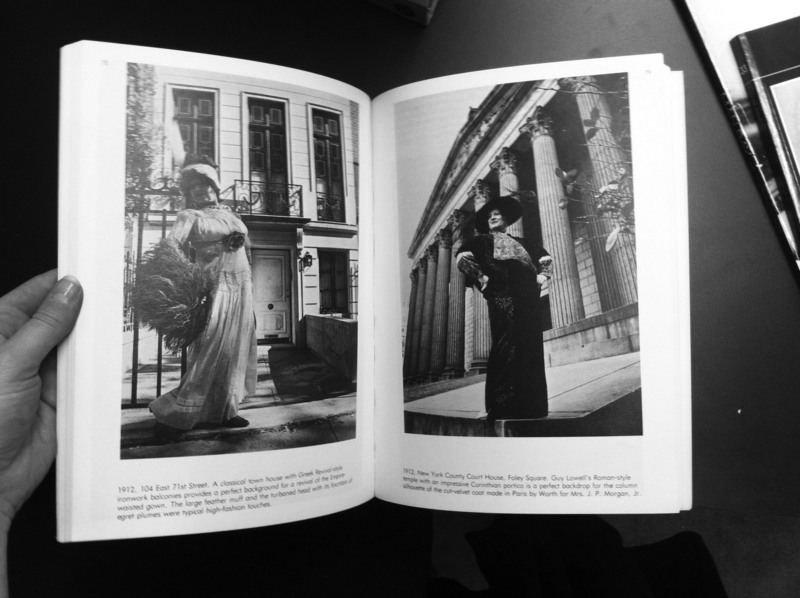 I loved this book I found “Bill Cunningham: Facades”. The famous fashion photographer took photos of his friend Editta Sherman posing in front of Manhattan landmarks wearing clothing from the periods during which the buildings were erected. Overall the internship has been a great opportunity to work in New York and with New York. I really appreciate the help of Jumi Song, Haan Chau, Chris Houck, Alex Gryger and specially Belmont Freeman for welcoming and teaching me over the summer. I have truly enjoyed it.